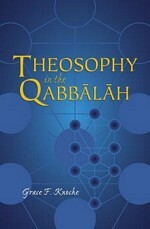 What are the essential teachings of Qabbalah, the Jewish esoteric wisdom passed on for millennia from teacher to pupil? In this clear presentation, Grace F. Knoche concentrates on principal Qabbalistic themes: the emanation of the universe, the Sefirothal Tree of Life and its cosmic and human symbology, the Four Worlds of creation, the Four Adams or Heavenly Archetypes, and the composite structure of our being and its bearing on sleep, death, and initiation. To elucidate their meaning, the author compares Qabbalistic concepts and symbols with equivalents in modern theosophy, particularly in the works of H. P. Blavatsky and G. de Purucker, revealing Qabbalah as one stream of the universal wisdom tradition of mankind.